Celebrating Recycling! - Planet Aid, Inc.
November 15 is America Recycles Day, which is a program by Keep America Beautiful, and is a day to celebrate and promote recycling in the United States. The national recycling rate is the highest it’s ever been at 34 percent, but there’s no doubt this can increase. There’s also no doubt that it needs to. Littering can disrupt the ecosystem and be detrimental to the environment, and our national budget. 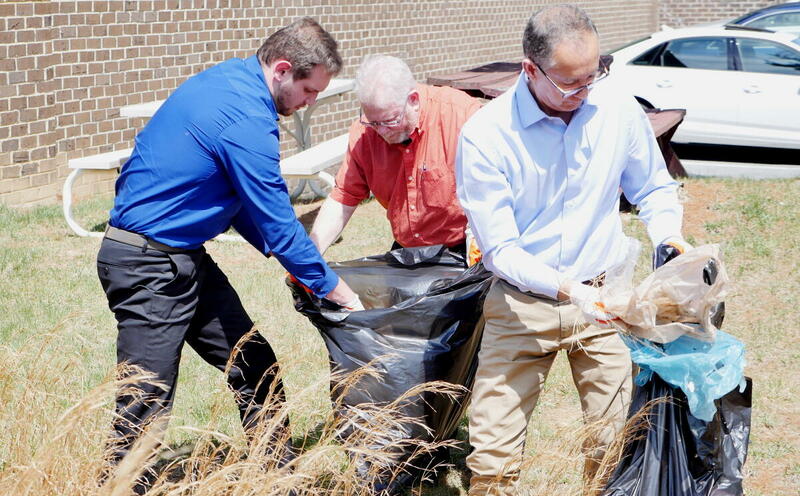 The cost of annual litter prevention and clean-up is $11.5 billion. It’s important to join in on recycling efforts, and it doesn’t have to be hard! Start with formulating a system to recycle in your home. Items like tissue boxes and shampoo bottles can be recycled instead of thrown in the trash. Even that small change can make a huge difference. Planet Aid staff clean up litter as part of the 2018 Howard County 20 Minute Cleanup. 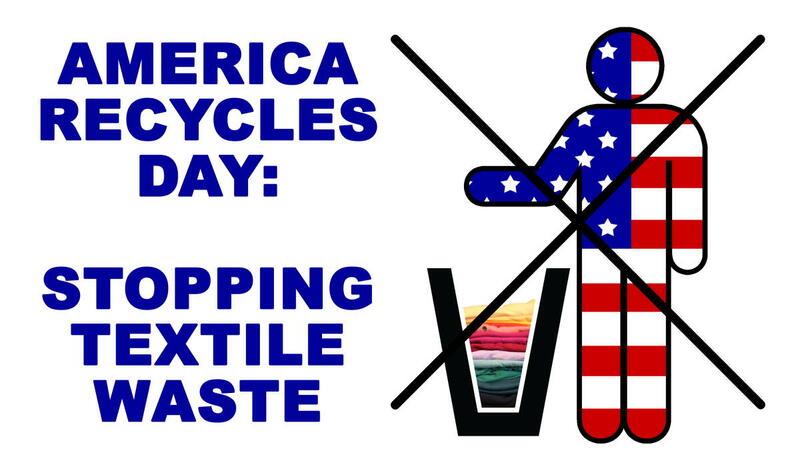 A great way to celebrate America Recycles Day is by cleaning out your closet and donating your clothes. It helps declutter your home and is a perfect activity as we change seasons and switch our wardrobes. By cleaning out your closet twice a year—once in the fall and once in the spring—you can be actively aware of the clothing you actually wear throughout the year. It can additionally help decrease overspending on clothes you don’t need and help reduce overall waste. Then, donate your items to Planet Aid! When you do, you’re giving your clothing new life, creating less waste. Your unwanted items are sold on the international market where there is a high demand for used clothing, and help protect the environment by reducing greenhouse gas emissions, saving landfill space, and keeping water clean. Learn about how the fashion industry contributes to climate change on our Fast Fashion vs Ethical Fashion blog series. You’re also donating to a good cause. Not only does your clothing help save the environment, but it also helps fund our development projects, which strive to build more sustainable communities in some of the most impoverished areas of the world. Recycling your used clothing doesn’t have to be a headache, just follow these simple tips for a quick and easy closet cleanout! Take out the items that you already know for certain you no longer want. Maybe it’s the sweater you accidentally shrunk in the dryer or those pants with irreversible grass stains. Put these items aside first. It’s normal to have about three times as many tops as bottoms in your closet, the same way they’re sold in stores. Start by evaluating how many bottoms you have. Do you wear all of them on a regular basis or have a use for all of them? If not, it’s a good idea to bring them to one of our yellow bins. Then, evaluate how many tops you have. Do you have more than three times the amount of bottoms you have? If so, donate whatever you don’t wear. Do you notice that you have a lot of clothing items that are different, but not really? Whether it’s the same style of shirt or too much of the same color, you don’t need all of them. Would You Buy This Now? When sifting through your closet, it’s useful to gauge what your current preferences are. Would you buy this item if you were shopping now? If the answer is no, it’s time to donate that item. Try on the clothes you haven’t worn in a while and assess how they fit. With kids growing up and weights fluctuating, clothes may not fit the way they used to. If it’s something that no longer fits you, add it to the donate pile. There are some items that you don’t wear on a regular basis and, oftentimes, they just remain in your closet collecting dust and taking up space. If it’s an item, like a suit, that you only wear once a year, consider donating it and then rent a suit on the occasions you do need it. This way your items won’t go out of style, and you only have the item when you need it. There are also companies that specifically help outfit people who cannot afford professional clothing through your formal wear donations. This reduces material waste, while also benefiting those who need it. Some clothing may not be items you wear anymore, but the material is still in good shape. Look at your new pile of donations. If it’s something that can be repurposed, you can try it yourself or donate it to us and it’ll be sent overseas to be sold in a secondhand market. 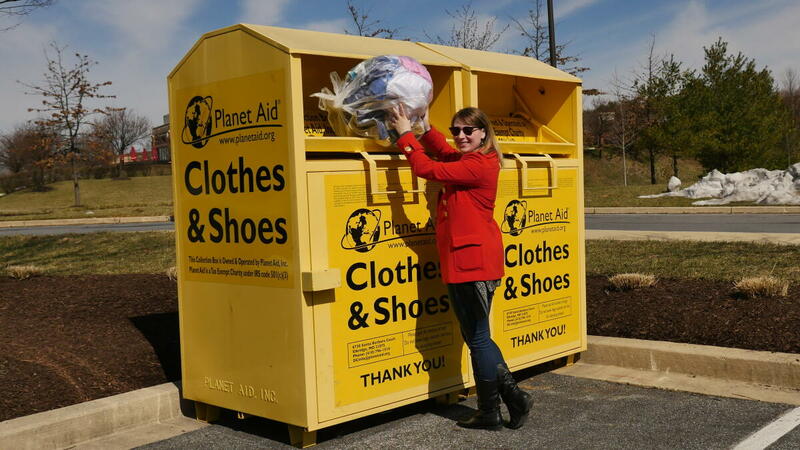 Once you’ve inspected your closet and taken out the necessary articles, take your items to a yellow bin near you. There are a number of ways you can promote and celebrate America Recycles Day, and any of them are great! Over 75,000 have already made the #BeRecycled pledge for America Recycles Day, and you can join them. It’ll feel great to contribute to the overall recycling impact on our environment!